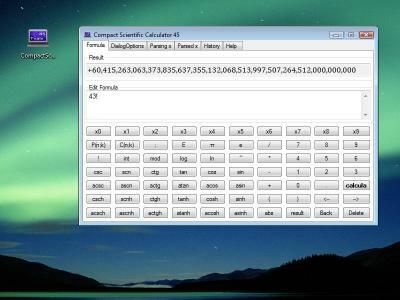 A handy fast reliable precise tool if you need to perform mathematical calculations. The calculator was designed with purpose to fit Netbooks and Notebooks with small display. Of course the calculator can be used on laptop and desktop computers as well. All calculations are done in proprietary data type. 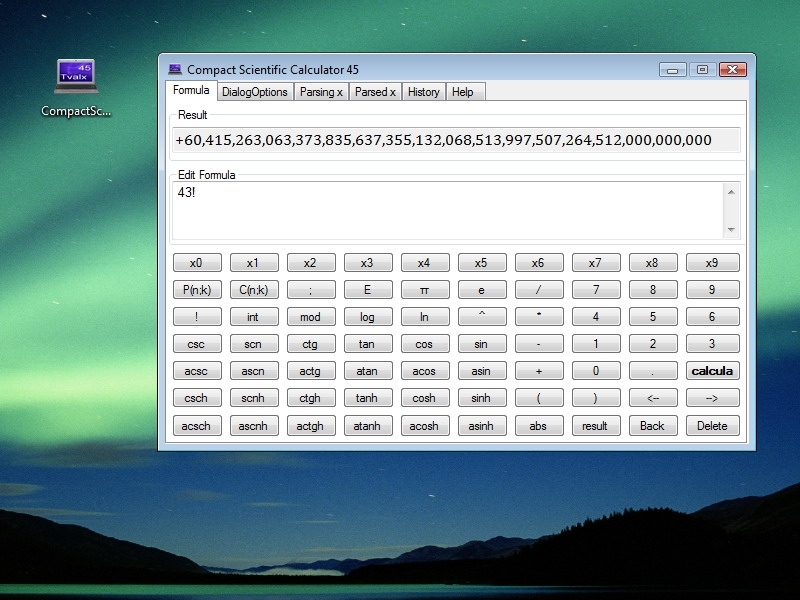 The calculator handles mathematical formulas of any length and complexity. Calculation history can be stored into text file or printed. There are ten variables or constants available for storing often used numbers. Precision of calculations is 45 digits. Trigonometric hyperbolic and inverse functions. Special numbers NaN Uncertainty and Infinity. The calculator follows classical approach when uncertainty of f(x) calculation is estimated by formula max(derivative(f))*x*uncertainty(x) where maximum of function derivative is considered on interval x-uncertainty(x)x+uncertainty(x) and uncertainty(x)x*10^(-precision).